Cold-Rite Refrigeration provides a full range of commercial and industrial refrigeration solutions. We have a fleet of mobile workshops available for breakdown service, installation or preventive maintenance throughout the greater Sydney metropolitan area extending to the Blue Mountains, Central and South Coasts. 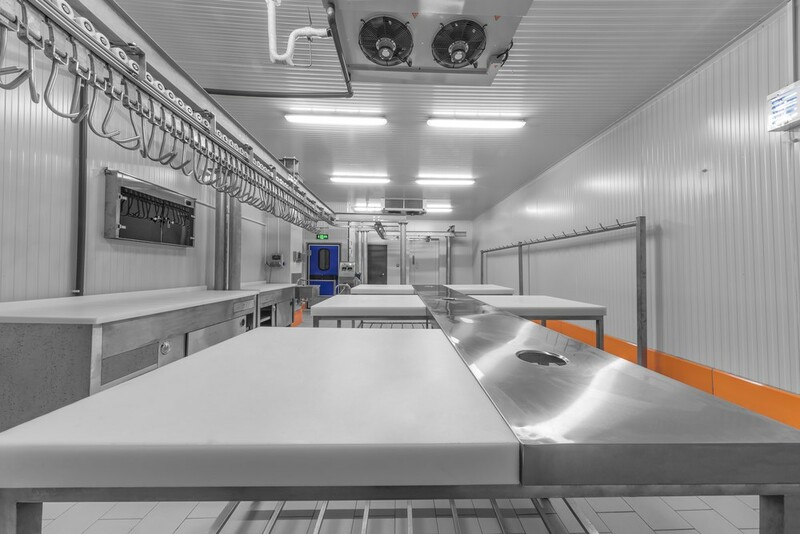 If your business relies on refrigeration systems such as commercial cool rooms and walk in freezers, it’s important to ensure they are always operating properly. Problems with your refrigeration system can cause your energy use to skyrocket and risks the potential for spoilage. Signs that your cool room requires maintenance isn’t always obvious either. Sometimes the issue can be subtle enough for some people to dismiss. Below are a few signs that you should definitely get your refrigeration system looked at by a qualified technician. Have you noticed droplets of water on the inside of your cool room? This is a sign that it may need repair because it’s not cooling down efficiently. Check the rubber sealing around the door. If it is wet or has signs of mould or mildew, the sealing may be causing the condensation problem. If you spot ice forming on the freezer door, the evaporator coils, or building up inside, this is a sign it needs repair. It can mean the temperature is not correct inside or the unit is overloaded and can’t maintain proper airflow. Freezers should be freezing, but if there are chunks of ice in it that you always have to defrost, it’s a bad sign. All refrigeration units make a certain amount of noise, but if it is excessively noisy, it may be a sign it needs a repair. The compressor and other components that are essential in the system create sound. A quietly whirring sound is normal, whereas a persistently buzzing one is not. It may also mean the cooling fan is dirty and needs cleaning. A dirty fan chugs around rather than spinning smoothly, using a lot more energy to carry out its function. If you’re noticing your electricity bills going up and aren’t able to account for it, it may be due to inefficient appliances. If they rise up drastically without changes in your appliances or activity, one of your appliances may need repair. If you notice perishable items in your fridge spoiling before their use by date, that is a definite sign that there is something wrong with your refrigeration system, especially if vacuum sealed goods that are meant to have a long shelf life are going off. There might be warm spots or the system may be failing to keep the temperature consistent inside throughout the day. Cold-Rite Refrigeration provides a range of commercial and industrial refrigeration solutions, including walk in fridges, commercial water chillers, humidity-controlled rooms and more. We have a fleet of mobile workshops available for breakdown services, installation or planned maintenance throughout the greater Sydney metropolitan area extending to the Blue Mountains, Central and South Coasts. Call us today on 1300-336-628 for more information or contact us online.